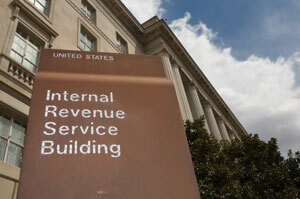 Tax problems and IRS audits cause their own brand of misery for individuals and business owners alike. When faced with IRS problems, no one wants to, or should have to, go through these serious dilemmas without the assistance of an experienced CPA and accountant. Reliance Consulting, LLC is here to help you resolve tax problems and walk you through an IRS audit, lifting these burdens from your shoulders so that you can go back to more productive activities. We have successfully assisted hundreds of clients in the greater Tampa, Florida area with troublesome tax issues and we look forward to providing you with the same efficient, affordable, compassionate, and discrete service. If you owe money to the IRS or have possible errors in your tax preparation, you have a serious problem that will keep getting worse as the IRS adds penalties and interest to the daily total. Once tax problems have become apparent and an IRS audit has been initiated, this government agency can be relentless in its pursuit of money owed. However, backed by the experienced Tampa CPAs and tax accountants from Reliance Consulting, you can rest assured that a knowledgeable representative is fighting for your rights. To learn more about our services for tax problems and IRS audit help in the greater Tampa, FL area, please contact Reliance Consulting, LLC today for a free, no obligation “check up” of your business or individual financial health.